Farm Description and Practices Blue Heron Farm is located near the town of Rockport, in the wet but enchanting foothills of the upper Skagit Valley. We have been farming here since 1979. 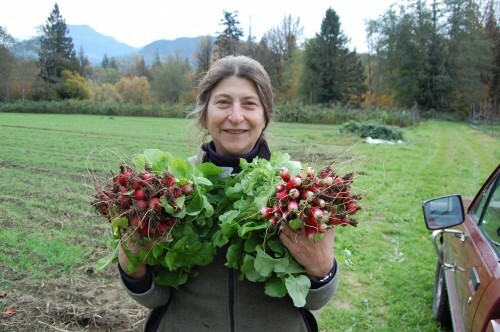 We were among the first members of Washington Tilth Producers, the organic growers organization. Our food crops include organic raspberries, blueberries, and a wide assortment of greens and vegetables. We offer a 20-week CSA and fall share plus bulk purchases for canning, freezing and winter storage.